A wide selection of products that will enhance the patio fruit and vegetable growing experience. Bring the vegetable plot right upto your back door. Not only attractive, but giving you a fresh supply of herbs and vegetables within easy reach. These attractive wooden planters provide the perfect solution to growing your own vegetables on the patio or any hardstanding area. Potato planters and containers are becoming an increasingly popular way of growing potatoes and this range of potato planters gives you a great choice of ways to grow on the patio or in a limited space. 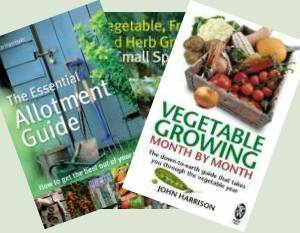 Grow tomatoes, potatoes, carrots, chard, leeks, baby turnips, beetroot and onions (to name a few!) on your doorstep with these vegetable and tomato planters. Growbag growing is where many gardeners start out and if you have only got a patio, balcony, roof garden or terrace to grow your own fruit and vegetables, then it might be where you finish too! With frames, troughs, screens and re-usable growbags, turn your patio into a productive and attractive vegetable and fruit growing area. A herb planter within leaf-plucking reach of the kitchen window or back door has the capabilities to revolutionise your cooking - just think of all those dishes garnished by full-of-flavour, just-picked herb leaves! Vertical planters and wall planters are becoming an increasingly popular way to grow your own herbs, salads, even vegetables, making it possible to grow on any spare wall or fence when space is limited. Use these decorative pots, planters and stands to enhance your patio or courtyard and reward you with fresh fruit and vegetables.